Don’t let freezer leaking problems make your life a nightmare! We, at Appliance Repairs Mississauga, ON, take care of your home appliances in timely fashion. When it comes to such important kitchen appliances, we do our very best to assist local customers in the Mississauga area as soon as possible. Freezers are important appliances since they allow you to store food for a long time without worrying about its decay. For this reason, our company offers fast response and emergency assistance every time you are dealing with serious issues. 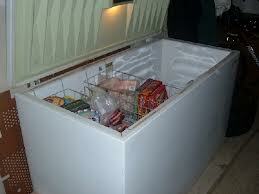 Our professionals offer fast freezer repair in Mississauga, Ontario, even if the problem is not urgent. We like to help our customers in a timely manner so that they won’t toss food, and waste money and energy. Whether you own a freestanding freezer or the appliance is part of your refrigerator, you can trust our professional freezer repairs. Our technicians have updated knowledge of the most recent models and all major brands, and will be of incredible assistance every time you are faced with freezer problems. The expertise of our technicians in repairs related to fridges, freezers and icemakerswill spare you headaches caused by sudden problems. Our kitchen appliance technicians are equipped to fix the problems of these appliances and do so at the quickest time possible. From tiny problems to major ones, trust our team. Whether the appliance overcools or fails to frost food, the temperature is not consistent or the gaskets are worn, do let us offer assistance. We make replacements, offer fast residential freezer repair Mississauga service and fix noises. * Are the freezer door seals defective? * Does the appliance make noise? * Is the freezer leaking? 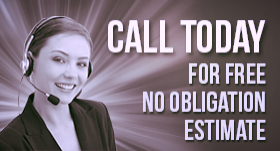 Report every single problem to our team. We troubleshoot as fast as we can and offer immediate repair and replacement services. From evaporators and thermostats to relays and coils, all freezer parts can be changed and the appliance can be fixed. Do give us a call if you need home freezer service!